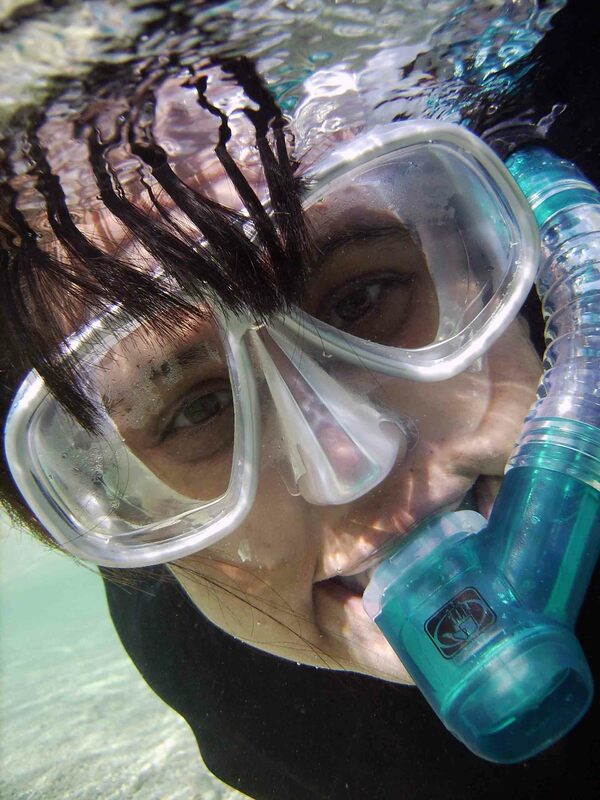 Me and my hubby, John, are the best of buddies…and we love to snorkel. Living here in Hawaii , we are blessed with (just about) 365 days a year in which we CAN and are ABLE to snorkel. Go warm weather and sunshine! 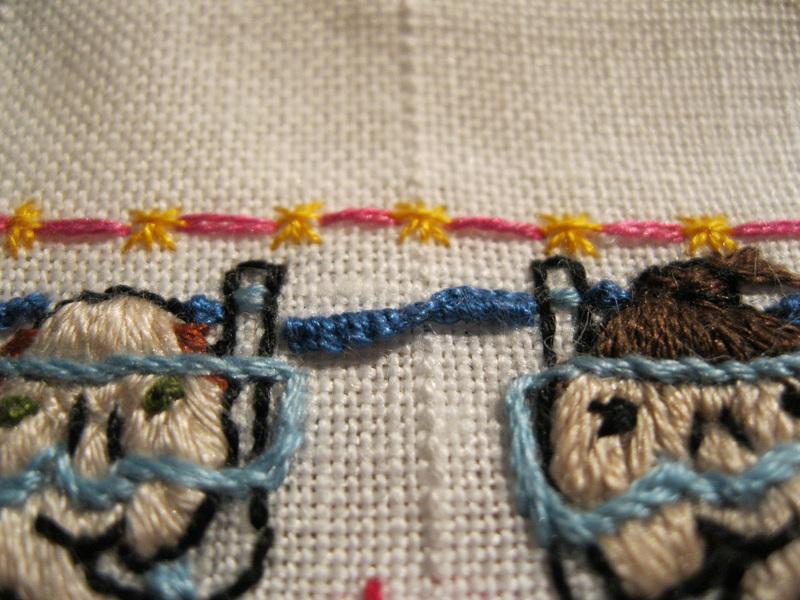 The bottom edging is a Stem Stitch-Portuguese Knot, the sides are Feather Stitch, the top is a Running Stitch with an interspersed Double Cross Stitch. I think of it as corals below, greens and seaweeds for the sides and sunning skies above. All the edges are stitched with a multi-color dyed Caron Watercolor thread. What’s snorkeling without some water and waves. 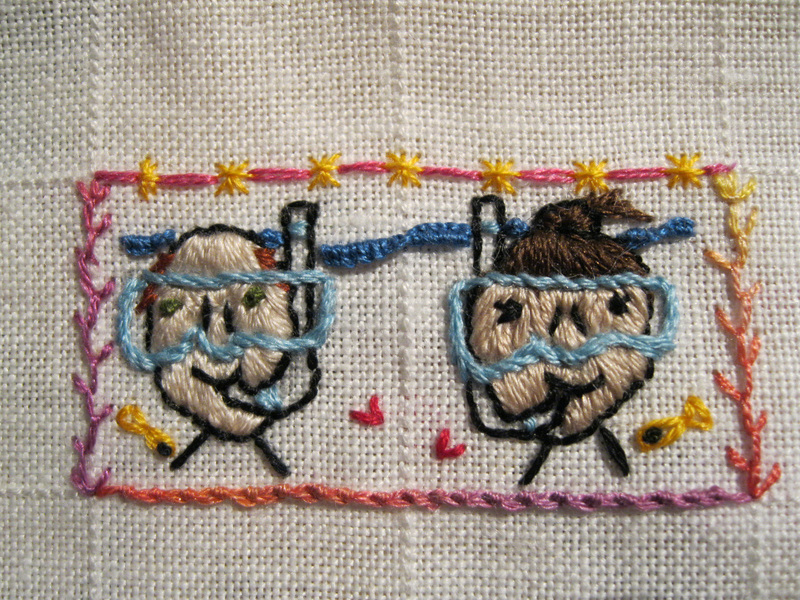 Here is some embroidery with a ‘twist’ for the wave action! 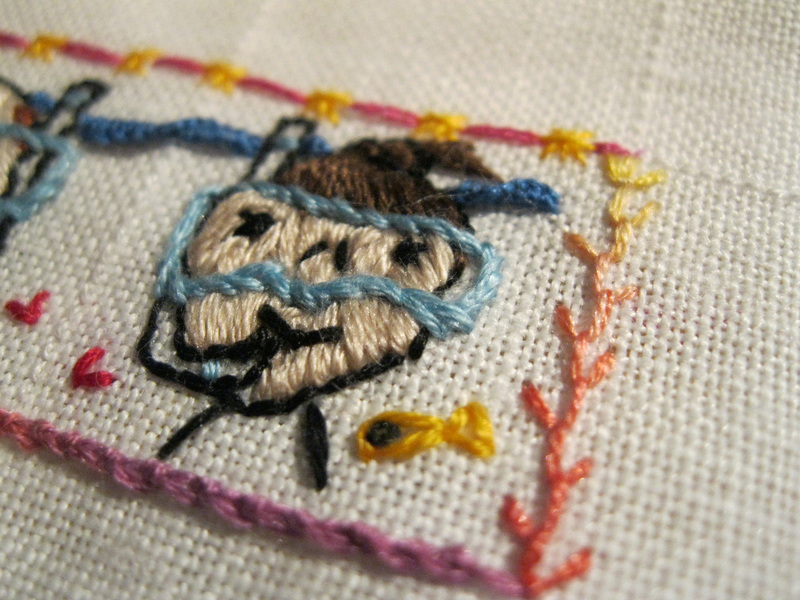 Stitched with Blanket Stitch-Detached Twisted Bar and some good ‘ole DMC thread. Did I mention that these are 1 inch squares? 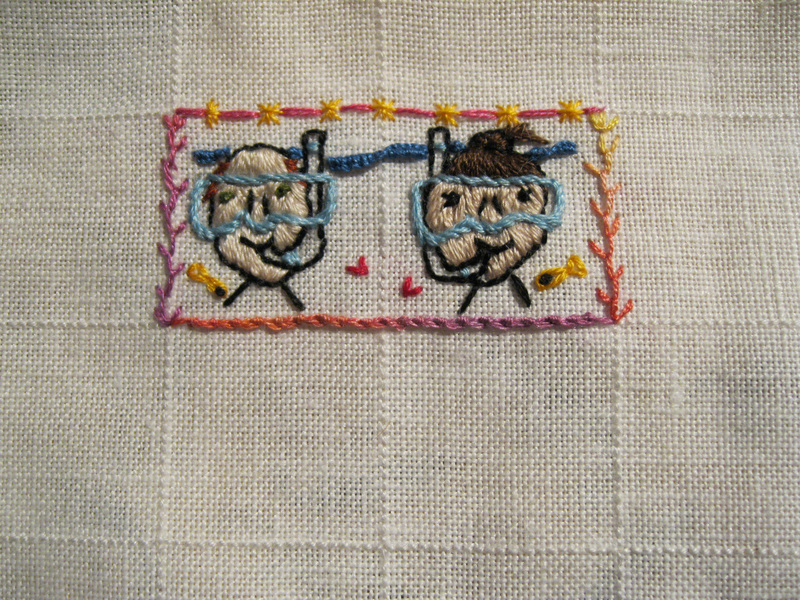 Very tiny faces. Very tiny squares. This has been a great start! I’ve already had some fun! Thank goodness for that 40ct. fabric! That’s how to cram all that detail in! Super cute! I love how you connected the two squares…so I guess we don’t have to think about them all separately…ahah. 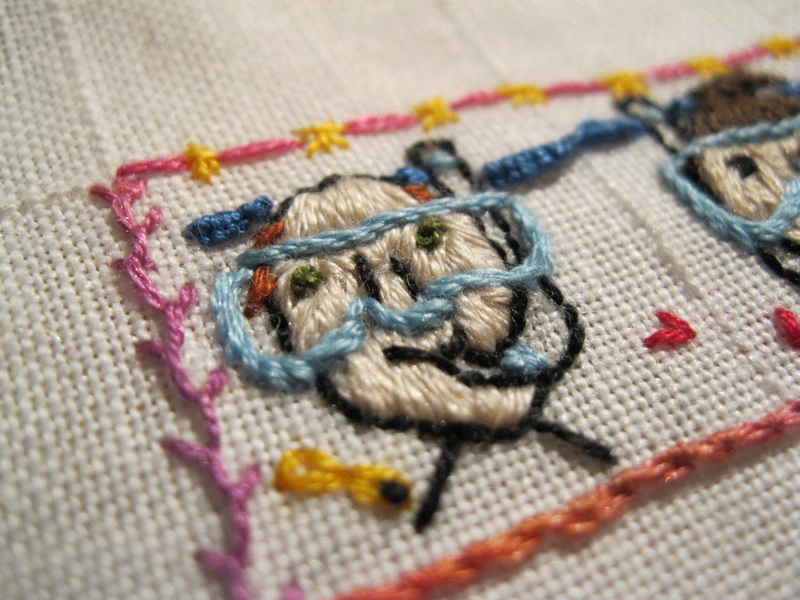 I’m not sure I know any of those stitches…eek…getting worried on what I can do…er, can’t! Thanks for stopping by! I’m glad you like my squares start. I’m sure that your 100 squares will work out Just Right! It’s really fun to watch everyone’s project grow. Very cute idea! I’ve seen several people doing this 100 square project. Thanks for stopping by and leaving a comment. I think this 100 square project is catching on! This is great! The faces are perfect! 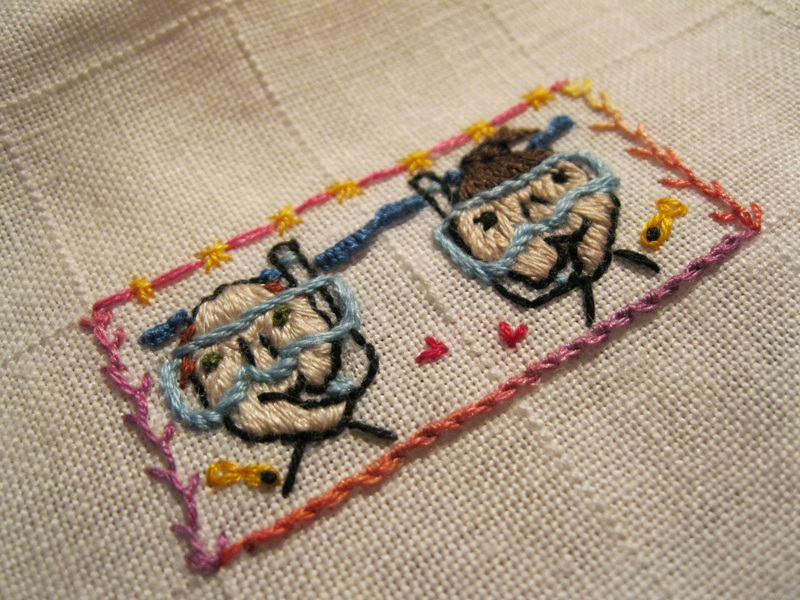 & I love the stitch choice! These are so cute and fun! Thanks for checking in on my place I’m looking forward to see your next ideas too. Thanks for the great comment. I’m sure this project will be fun as well as very therapeutic. I look forward to moving along with it. Alicia, your first two squares are precious! 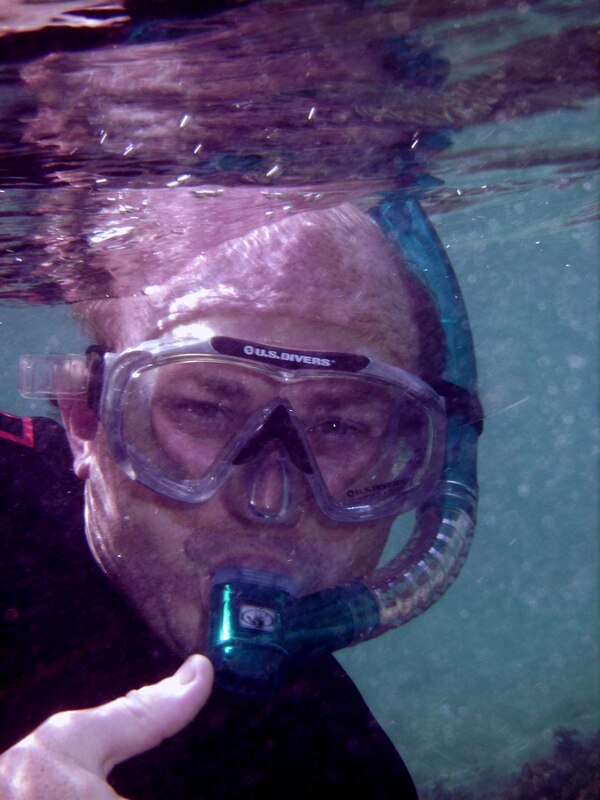 I LOVE your little snorkelers….they’re sooo sweet! And how wonderful that you and hubby have an activity that you love doing together. I’m glad you like my little squares. These are just adorable! I love your corals and little fish, and the snorkelers are so cute. Can’t wait to see more! My squares have been on a mini-hold … there have been some big ‘life’ things that are interrupting it’s progress. I’m glad you find them cute. The squares make me smile whenever I see them.